I received toys from Battat in order to facilitate an honest review. All opinions are my own. This post contains affiliate links. When I was a child, my grandmother had a family of bear figures with furniture that I was allowed to play with when I visited her every week. I couldn't wait to play at her house, and it would keep me busy for hours. I was fascinated with the miniature animals and their miniature clothing with tiny buttons. I would set up their furniture and make dinner for them in the tiny pots and pans, then I would wash up in the tiny sink and put the kids to bed in the little bunk beds. It was the cutest, and when my grandmother passed away, I gave them to my daughter to play with. She loved that bear family, so when I saw a family of beavers in a store one day, I grabbed them! 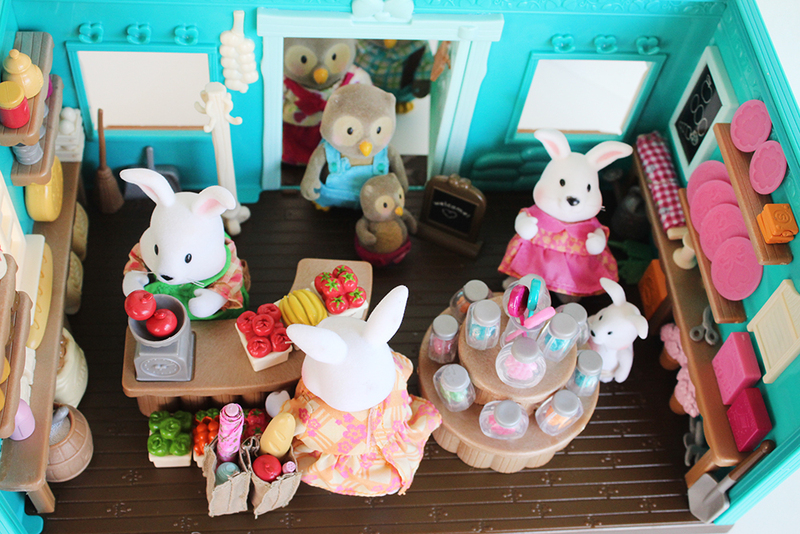 I hadn't seen toys like this for sale since I was a child, and I couldn't wait for my daughter to meet them. It was love at first sight, and years later, she still plays with them more than any of her other toys. The company that made that adorable beaver family was Battat, and the line is called Li'l Woodzeez. I was sent some amazing toys to try out and I can't wait to show you. I may have squealed a little while unpacking them. I was sent the Hoppingood Rabbit Family and the Whooswhoo Owl Family. 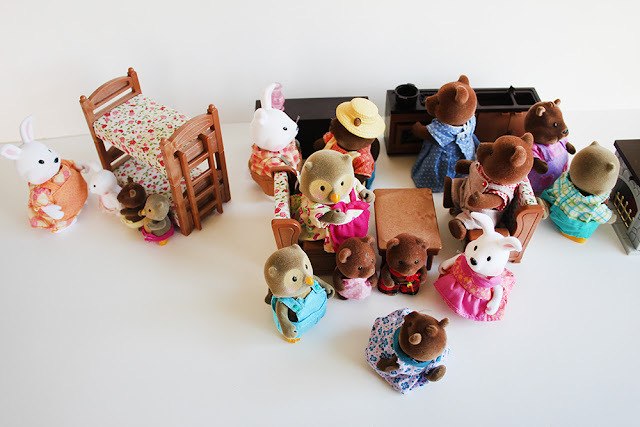 Each fuzzy family comes with 4 figures, fully clothed, and with their very own storybook. How cute are they! Their heads, arms, and legs move, and you can undress them to switch out the clothes if you like. You can view all of the families available here. I was also sent the 90-piece Honeysuckle Hollow General Store. Yes, I said 90 PIECES! This toy is approved for children 3+, and has a ton of tiny pieces! Everything you see on the shelves is an individual piece so they can stock their store any way that they want! 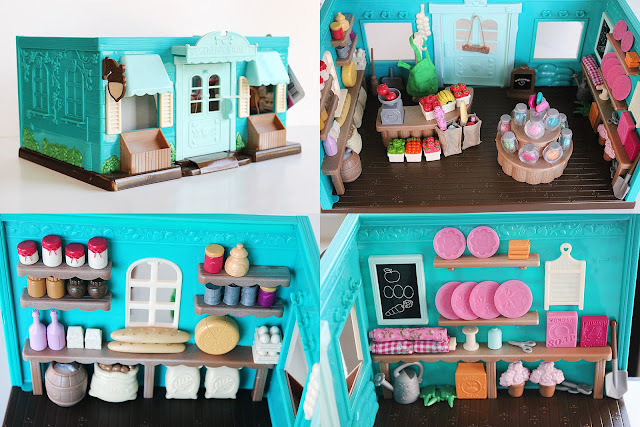 There is a sales counter with a scale, produce baskets, a broom and dustpan, an apron and coat rack, a welcome sign, tiny grocery bags, and an entire candy display in addition to the items you will find on the shelves. Adorable! I was also sent the 85-piece Tickle-Your-Taste-Buds Bakery, and it is amazing! 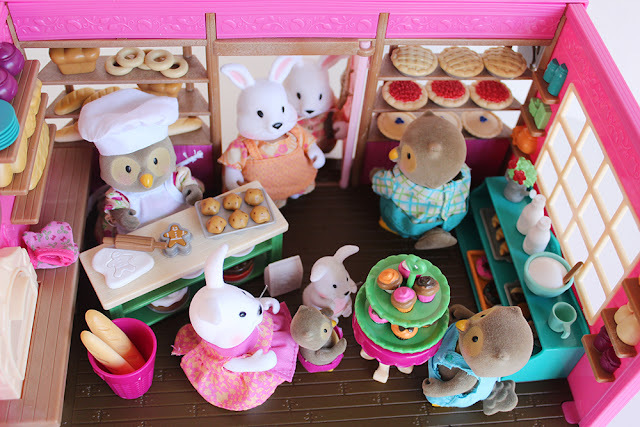 Each tiny cookie, each piece of cake or muffin or cupcake is its own tiny piece. Fill the window displays with pies and breads, bake gingerbread men in the oven, or have a tiny tea party; There is no lack of fun with this playset! It also comes with a chef's hat, apron, and tiny pot holders to dress your Baker in. I couldn't have been happier with the quality of the toys, the creativity that went into designing these sets, and all of the little surprises that were included. 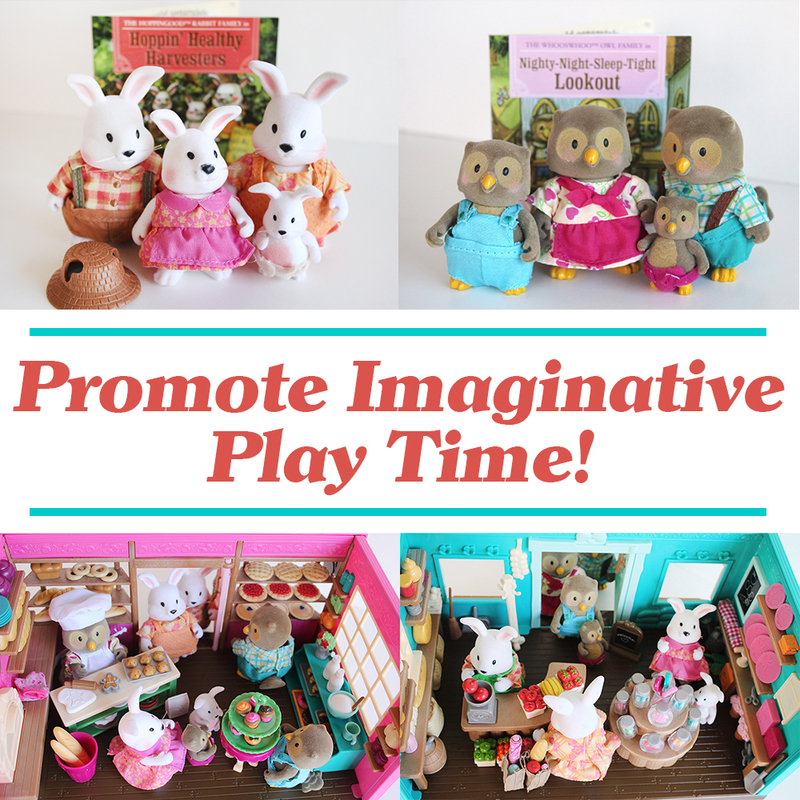 These sets will bring out your child's creativity and get them playing and imagining for hours! All of the Li'l Woodzeez figures and playsets from Battat are available at Target, Target.com and Amazon.com! 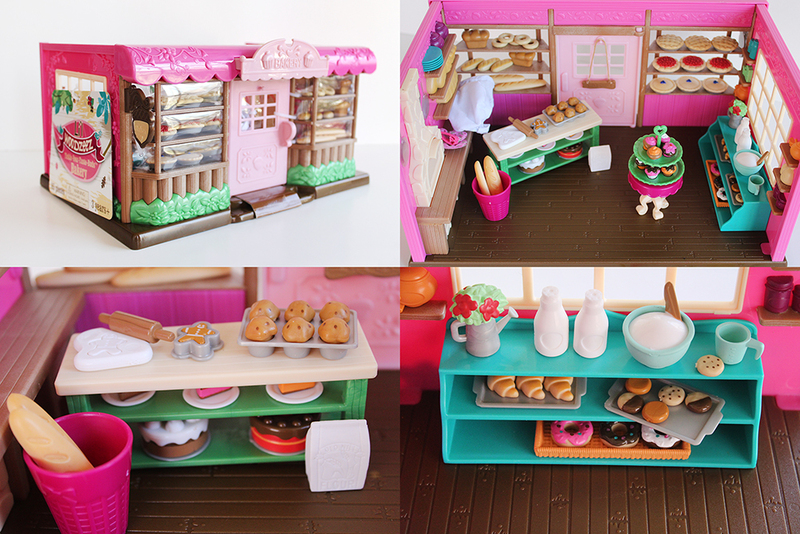 One lucky reader will win a Li'l Woodzeez Tickle-Your-Taste-Buds Bakery and a family of their choice! Giveaway begins on 12/8/15 at 1:00 am CST and ends on 12/19/15 at 11:59 pm CST. Must be 18 years or older, open to residents of the Contiguous US only (excludes AK and HI.) Once confirmed, the winners will be added to the Southern Mom Loves Winner's List. Disclaimer: No purchase is necessary to enter. One entrant per household, per address. All entries will be verified. Void where prohibited by law. Winner will be contacted by email; Please add southernmomloves@gmail.com to your whitelist. Battat will be responsible for prize delivery to the winner. This giveaway is in no way administered, sponsored, endorsed by, or associated with Facebook and/or Twitter, Google, Pinterest, or any other social media platform.